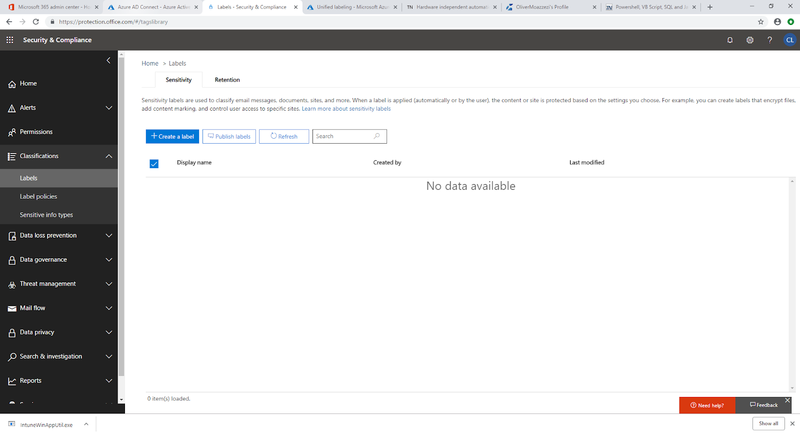 Microsoft currently have Unified Labelling in preview, but if you are looking at migrating your Azure Information Protection labels over to the Compliance Center what do you need to do? First and foremost I would advise against do this in a real in-life tenant right now unless you are well prepared and ready for users to utilise it in Office. 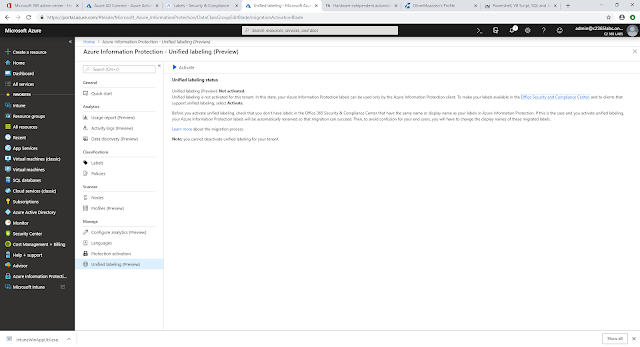 Migrating the labels and having a Unified Labelling experience is one thing, but currently not all settings are migrated and you have to check each migrated label with care and attention - and reconfiguring the labels as and where necessary. 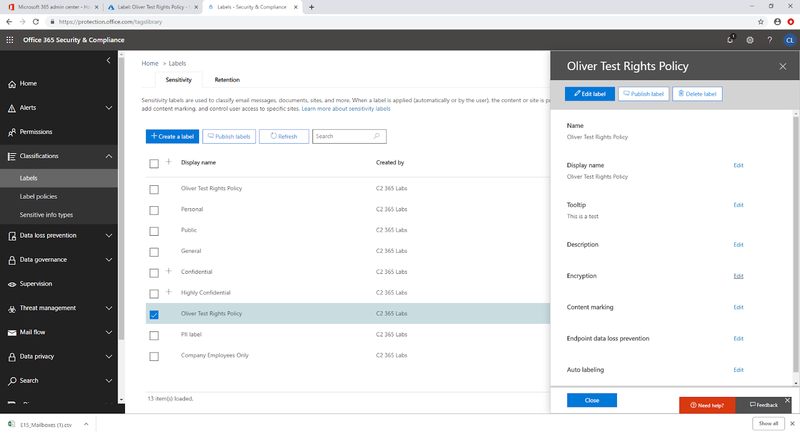 If you have a test Office 365 tenant however, this is a great place to test the unified experience to help plan for when the service becomes generally available, and will also allow you to test out the experience in Microsoft Office clients with the Unified Label plug-in. So - how do we unify the label experience to help us plan for the change as a administrator for when Microsoft push this change to the service later in the year? First things first, let's take a look at what's in the Compliance Center | Classifications | Labels. You will see these have now been split into 'Sensitivity' and 'Retention'. In my test tenant, any previous labels I had created before this change would have been for Retention only, as Sensitivity was not an option. So you can see I have zero Sensitivity labels available. So how do we migrate labels from the Azure Portal to Compliance Center? If we login to the Azure Portal and select Azure Information Protection, you'll see 'Unified labeling (Preview)' at the bottom of the blade. You'll see that it is a one way process and cannot be undone was activated, you'll see any labels with duplicate names across the service will be renamed (so best to check this, or test it out like I did). The one thing it doesn't state is not all your settings are migrated over! 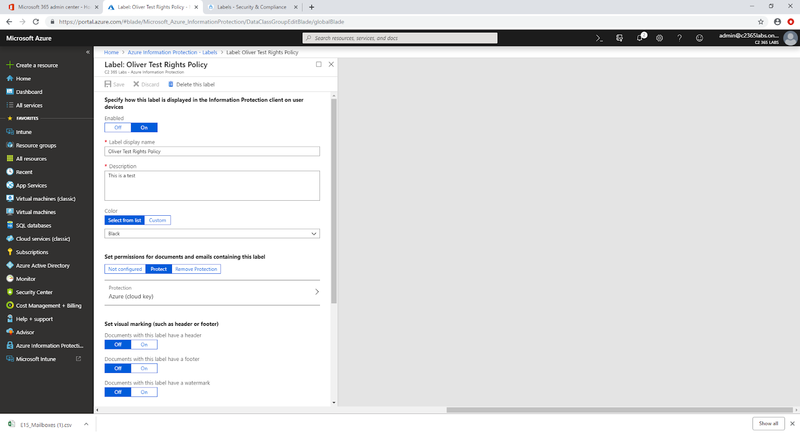 Which is pretty poor to be honest and something it should absolutely state You can read up about this further at this docs.microsoft.com AIP documentation. Let's take a look and then activate. Once activated you will see your AIP labels appear in Compliance Center under 'Sensitivity'. So comparing the migrated labels you'll see some settings are migrated, and others are not. So make sure you verify each and every migrated label. However it is generally pretty good at carrying most things over. 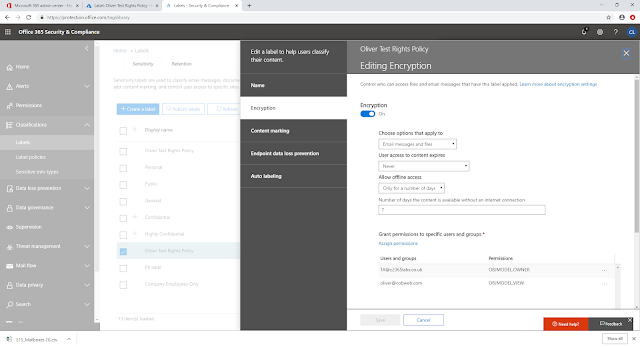 Confirm all protection settings and headers and footers to re-affirm your configuration settings. You can see for example the encryption settings and users specified for a label have been carried over succesfully in this example label. So once you have tested the experience, you now need to ensure you have downloaded and installed the unified label plug-in for Microsoft Office. It requires a specific version of .Net and there's a specific KB to install to allow it to work on Windows 7 machines. It also supports Office 2010 which is a surprise too - you'll find all the caveats to these here.